Interchange is London's premium co-working space for creatives, freelancers and entrepreneurs based above the boutique Camden Market. Interchange required a tool for their coworking residents to manage their day-to-day activities, from registering for events, booking meeting rooms, or providing visitors with digital access to the space. 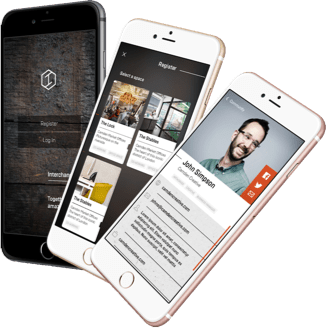 The Distance designed iOS and Android app solutions to connect with the various 3rd party systems to provide an integrated single interface for the many features. The app provides the Interchange co-working community with an essential tool to manage their day-to-day activities around the workspace. It also acts as central communication platform to allow both staff and residents to network and share news and events.